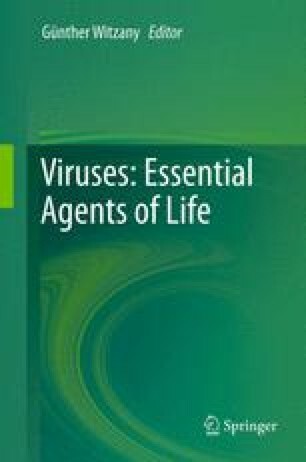 Viruses are regarded as peripheral oddities in most ecological and evolutionary theory, as well as in the supporting field and laboratory work. This is a major mistake. After all, there are more of them, they reproduce more quickly, they evolve more rapidly, and they are part of every biome. Viruses, the most diverse biological entities on the planet, are also the least characterized in terms of their genetic, taxonomic, and functional diversity. They are the dark matter of the biological universe. In this chapter, we begin by counting viruses, then we estimate their diversity. With their vast numbers, great diversity, and rapid rates of mutation and recombination, viruses are exploring sequence space at a phenomenal rate. They exchange genes among themselves and with their hosts; they move genes globally from biome to biome. Everything viral is in rapid evolutionary and ecological movement, and this movement reverberates throughout the biosphere.